Designed and built by dedicated professionals with over forty years of construction experience throughout the country, Island Homes is an ideal way to enjoy the island lifestyle of our beautiful Bahamas. Our mission is simple – provide an architecturally pleasing design at an affordable price within a reasonable time frame. Anyone who has ever built or remodeled knows first hand the problems associated with conventional construction. The lack of materials, delivery logistics and limited skilled labor are but a few of the challenges one will experience in building their dream home. Add to that government building permit / inspection requirements and you can appreciate just how time consuming the process can become. The Island Home building system takes this into consideration and delivers a finished product to your home site, on time and within budget. Our models range from the quaint Dock House to the expansive Beach and Ocean model homes. 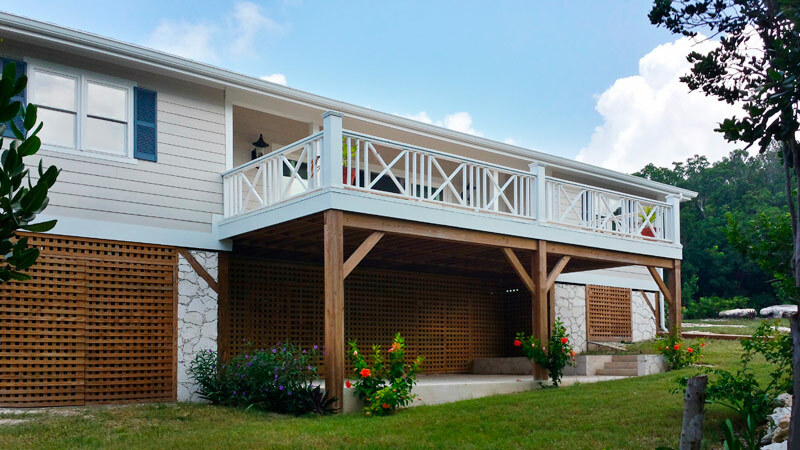 Features such as wrap around verandas and dormer windows accent Caribbean architecture, while the use of modern materials and technologies help protect the home against our tropical climate and Mother Nature.